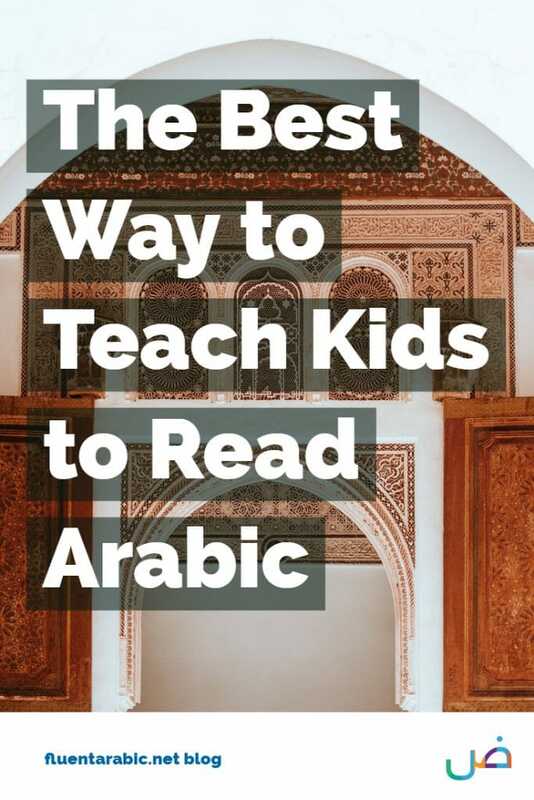 Wondering about the best way to teach kids to read the Quran and other Arabic texts? The Qaeda Al Noorania is a method that is designed just for the purpose. 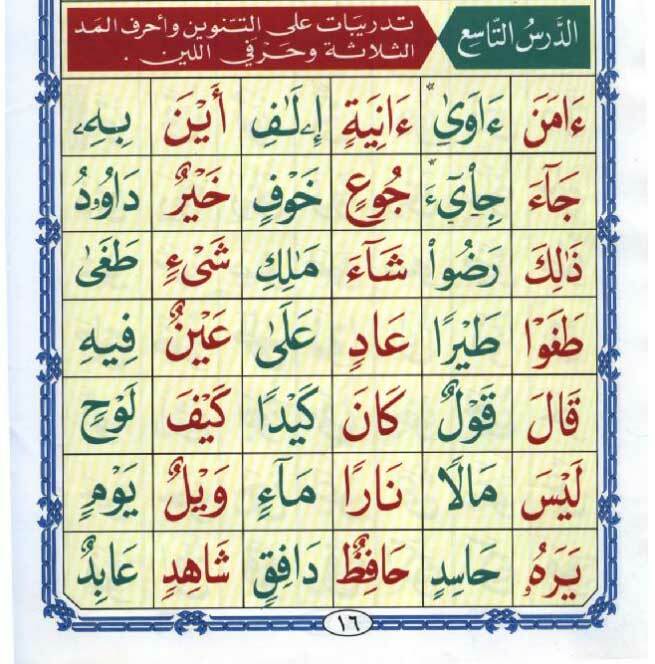 What is unique about it is that it teaches kids the alphabet, the correct pronunciation and even the tajweed rules of the Quran at the same time. The book was originally conceived by Sheikh Noor Muhammad Haqqani, born in the year 1841 in Punjab, India. 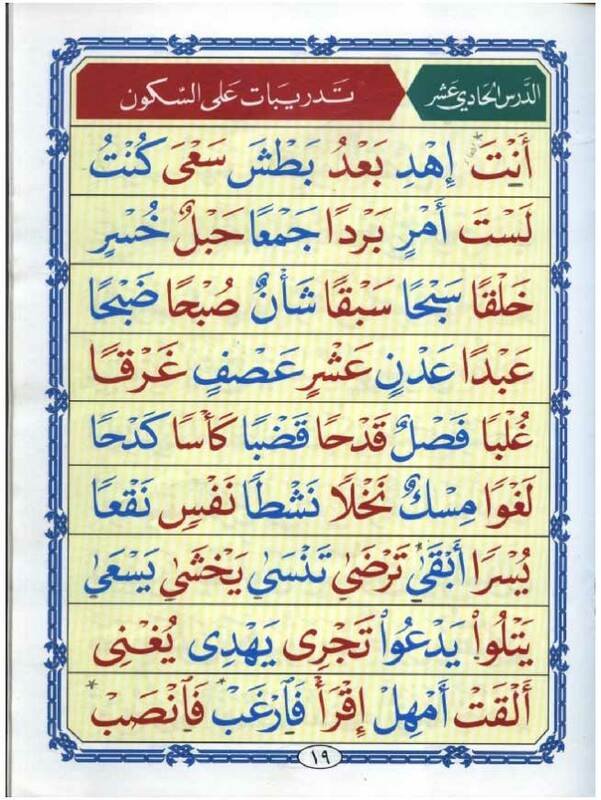 The work was later translated to Arabic and the script was changed to that of the Madinah Mushaf and published in 1998 by Muhammad Faruq Ar Ra’ii. It has been popular worldwide ever since due to its unique teaching methodology and effectiveness. 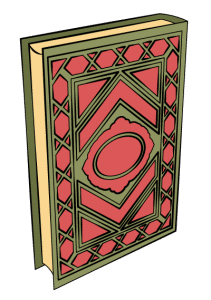 The book is ideal for children from the age of 5 and older. 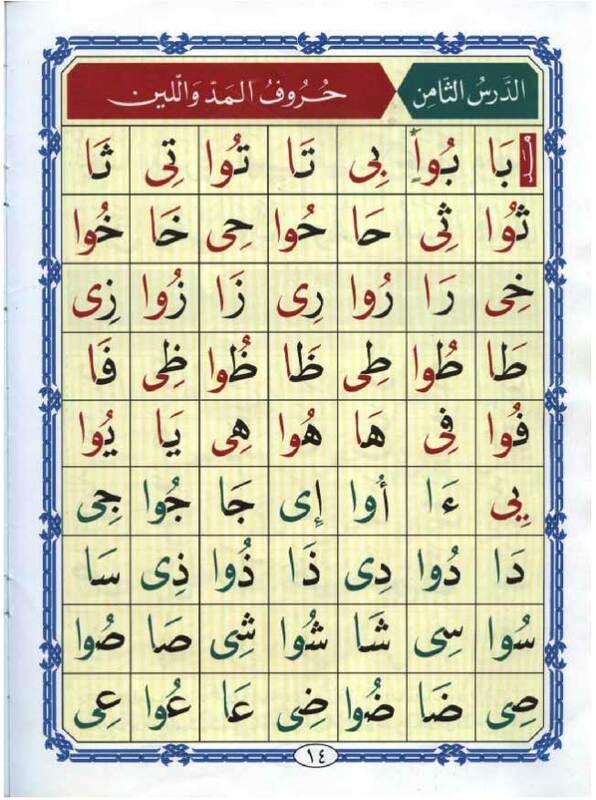 It is also useful for adults, especially non-Arabs looking to learn the alphabet or to correct their pronunciation or tajweed. 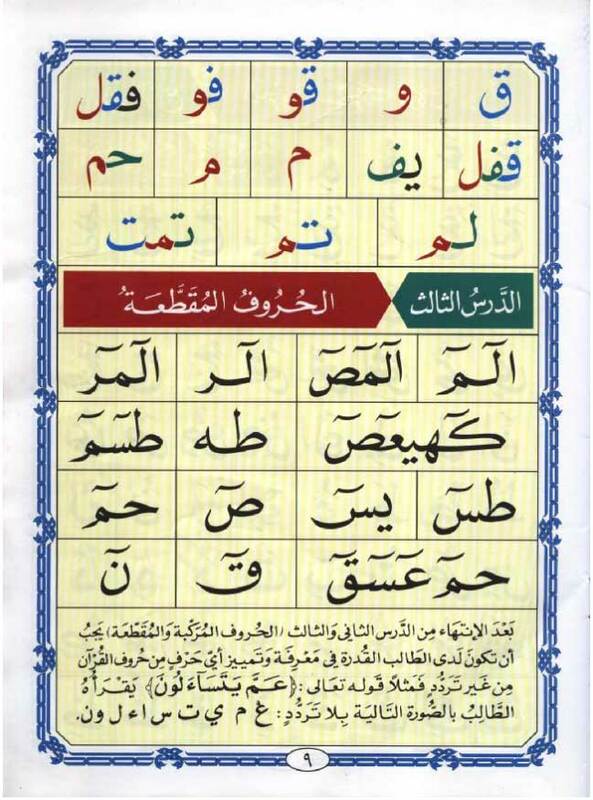 The Qaeda Noorania covers 95% of the tajweed rules of the Quran, which will help the child read with the correct Makharij. 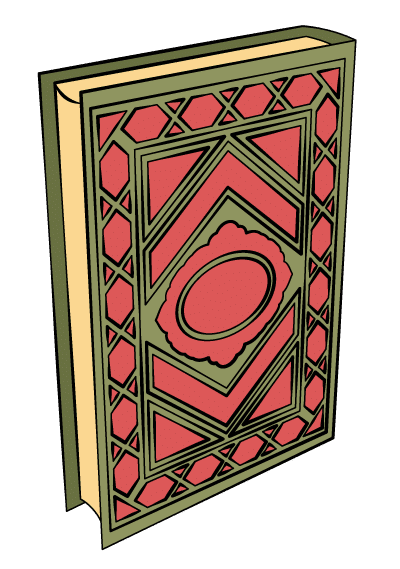 The original idea is that a teacher takes the student through the book reading out the alphabets and words for him and making him repeat after him until he perfects the pronunciation. But, if you don’t have a teacher or are not sure about the perfect pronunciation of each letter and word, you can use the audio companions available alongside the book. 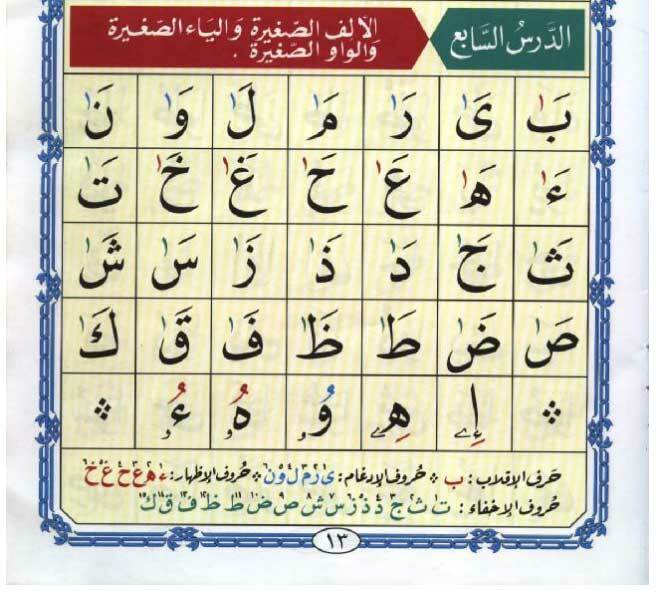 Singular alphabets (Al-Huruf Al-Mufradah): The book starts with teaching the alphabets one by one. The student should repeat these multiple times along with the teacher or the audio recording. 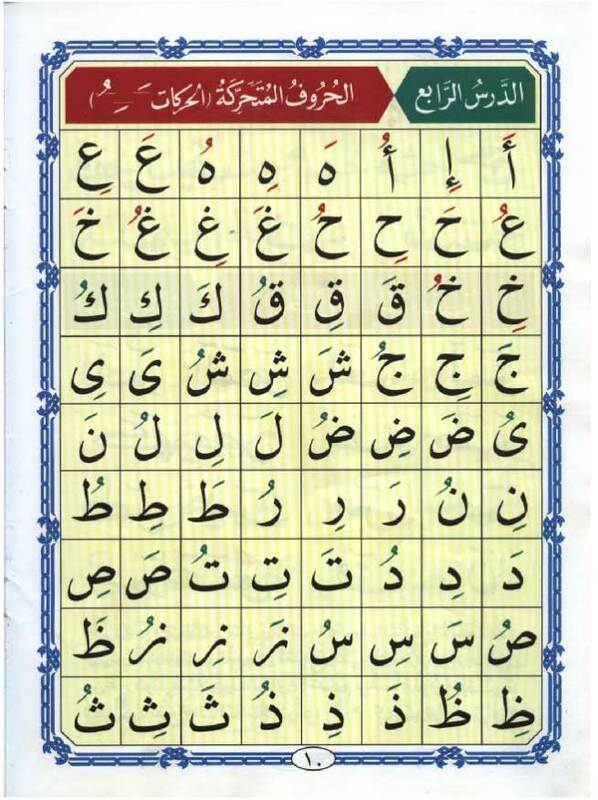 Consonants in combination or joined with others(Al-Huruf Al-Murakabah): Here the student is taught to read an alphabet when it is joined with another. For example لا ، با ، بلب etc. 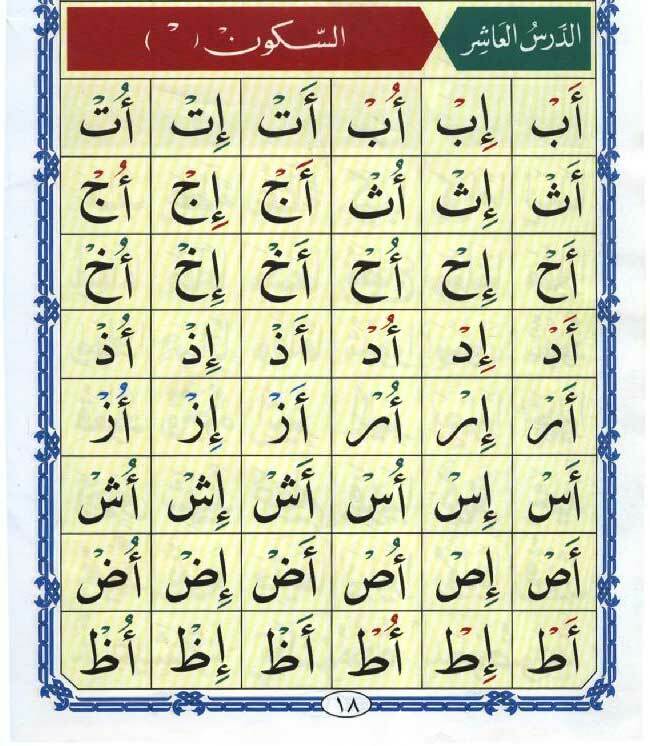 Al-Huruf Al-Muqata’a: For example آلم، الر، ص etc. 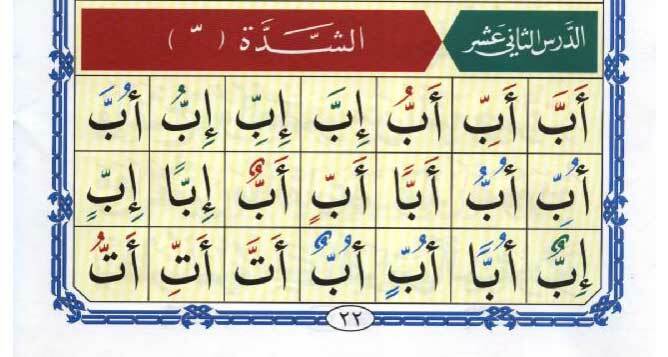 Vowels ( Al-Huruf Al-Mutaharikah): Here we start learning the variations of each alphabet with the Harakat. 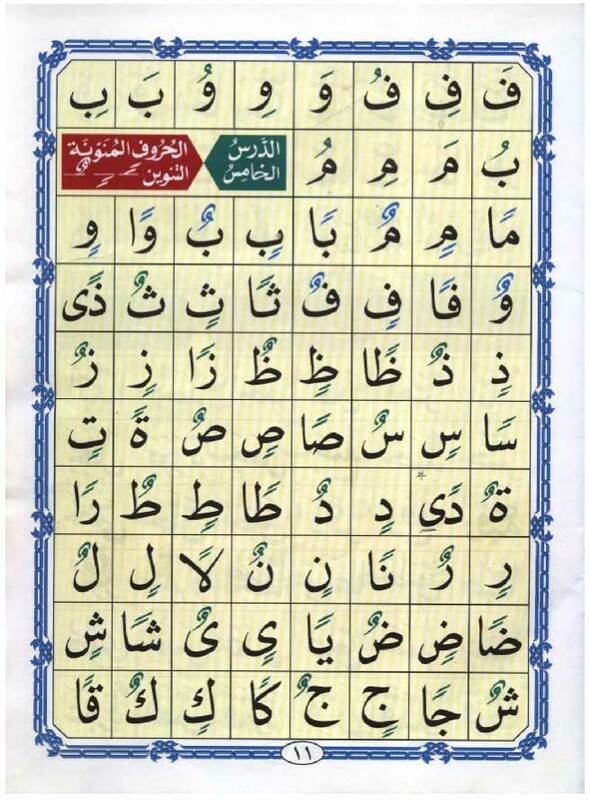 Tanween(Al-Huruf Al-Munawwanah): The forms of tanween on each alphabet. Now we start practising the harakat and tanween and actual words. All the words in the Qaeda are from the Quran. Practicing all the previous elements on actual words. Practicing the Shaddah and Sukun. Practicing two Shaddahs in the same word. Practising the Shaddah and Sukun with the Madd. All the words in the Qaeda are from the Quran, making it easier for the child the recognise them when reading the Quran. 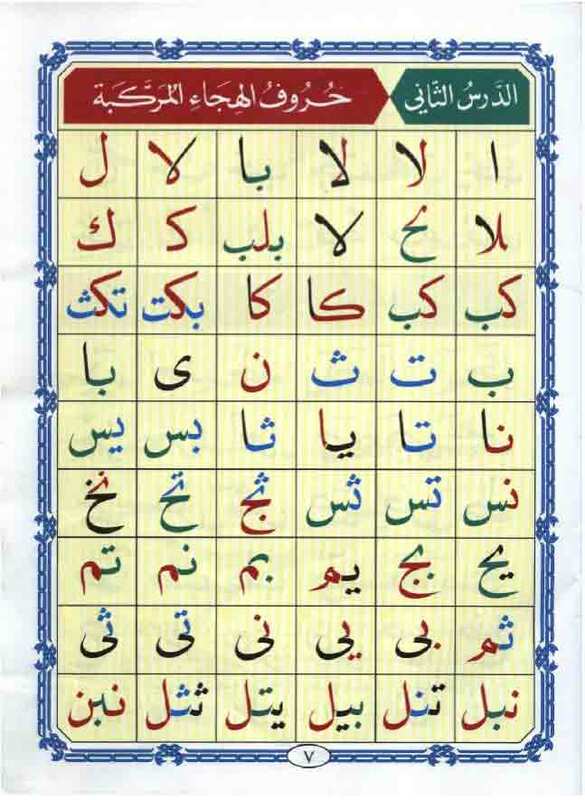 As you can see the course gradually develops the reading skill of the child in a unique and effective manner covering all the possible consonant combinations he is going to come across when reading the Quran and other Arabic texts. 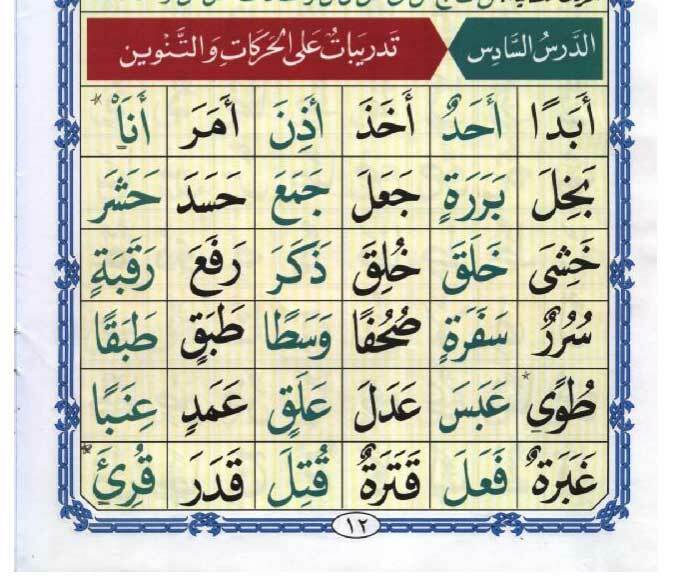 This also covers 95% of the tajweed rules of the Quran, meaning that if he masters the correct pronunciation of these words he can read the Quran correctly more or less with memorizing any tajweed rules. Acquiring the right accent and pronunciation takes time and plenty of repetition. Therefore you need to teach small parts of the book over a period of time (suitable for your child) and make sure he or she repeats each part multiple times. Once he masters a lesson he should now be able to recognise the alphabets and words by himself and pronounce them correctly. Make sure you go back and revise previous lessons regularly. Test your child regularly to make sure previous lessons are not forgotten. It’s important that you set a schedule for the week and stick to it. If you want results then regularity is key! Make sure you set a study plan or a simple schedule. Be Regular! If you prefer teaching with your mobile device there are plenty of great apps for the Qaeda on both Android and IOS. If you prefer PDF here is a link which includes the audio files. Or if you want to use Youtube videos, I have compiled all the lessons in order in this blog post. Assalamu Alaykom I can’t seem to download the pdf, any other way to access it?